Hello dearies. Today I have a special treat for you. 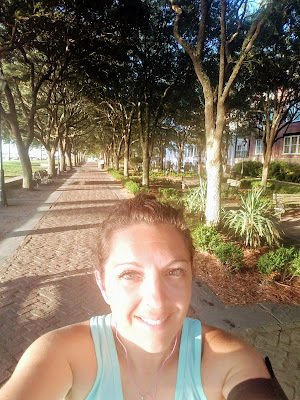 My sweet friend Mandy agreed to share a highlights post on Charleston - and it's a two part deal! 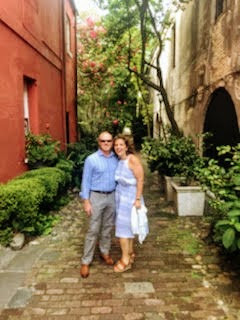 The first post gives ideas for couples and sequel (coming in January) will go over a visit to Charleston for families! Mandy is that friend that everyone goes to for traveling advice. In fact, she's planned many a trip for her own family, trips with friends and trips FOR friends. 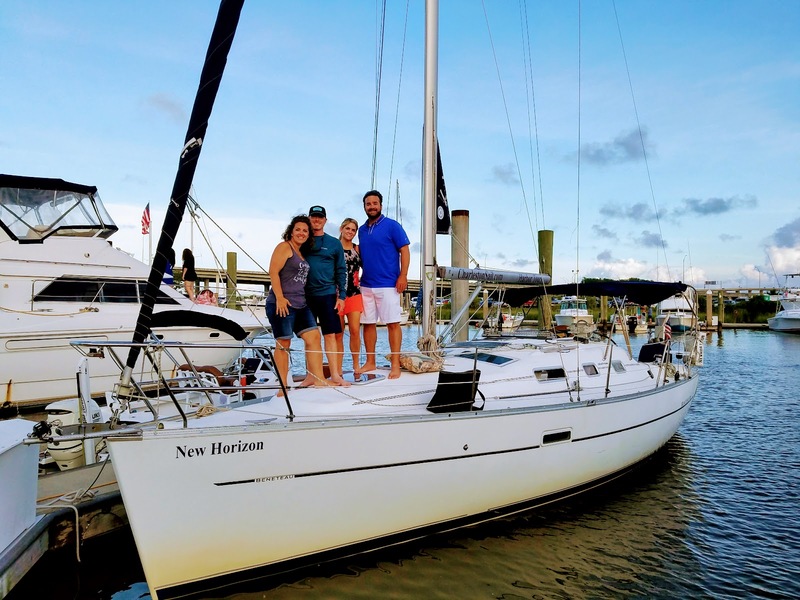 From the hard to find local favorites, to trips on a budget, she gets it done! Needless to say, I'm thrilled to feature her on the blog. I hope you enjoy today's travel fun. Maybe you'll be inspired to go on a traveling adventure for Christmas!! Hello readers of granolangrace! My name is Mandy Henderson and Chrissy is one of my favorite people. She is super passionate about the things she loves, and she encourages others to be passionate as well. 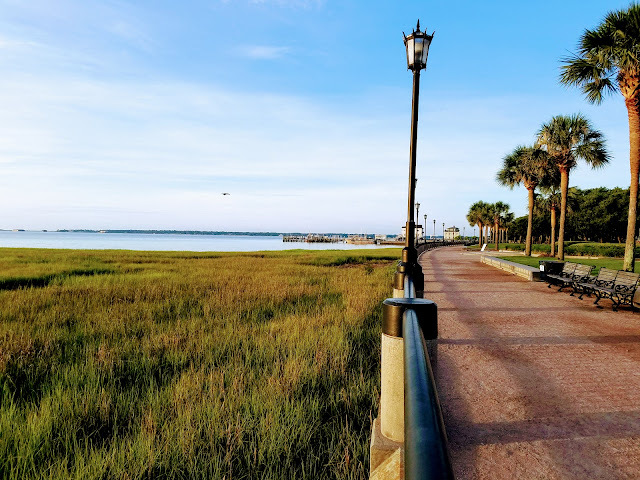 One of my favorite things is travel, and in particular planning trips for my friends, so she has asked me to write a guest post about a long weekend in what I think is the most charming town in the Southeast, Charleston, SC. Here is how I would (and did!) spend a lovely 3 days there this summer with another couple. We arrived in town at lunch time on a Thursday. Our first meal ALWAYS in Charleston is Lewis BBQ. 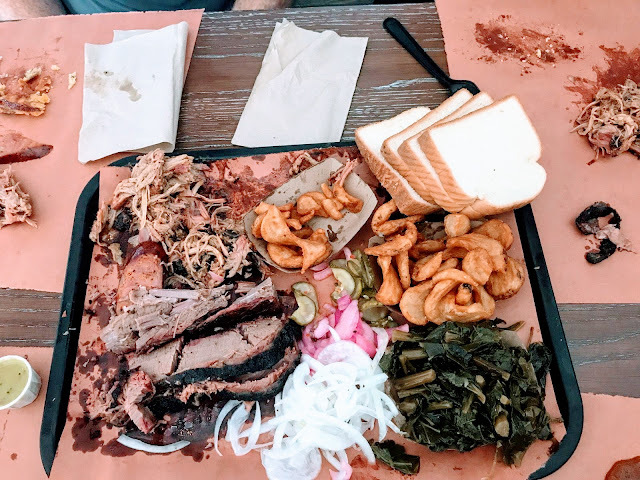 It is Texas smoked meat at its finest, served family style on plastic trays, and no one leaves hungry. The brisket and green chile corn pudding are my faves. Our friends had never been to Charleston so we did a horse drawn carriage tour after lunch. It is a perfect way to see most of downtown and get an informative and entertaining broad history of the Holy City. We also took this chance to explore the open air market that runs for several blocks right in the heart of the city. Charleston has become the culinary capitol of the South, and the numerous dining options can be overwhelming. I sat down and researched (and researched) the best places to eat that would give us a pretty comprehensive taste of all the city has to offer. And then I made reservations. WAY in advance. Our dinner on Thursday night was at a very small (only 12 diners served twice a night) called R Kitchen. It is a set 5 course meal highlighting local ingredients for only $35 per person. It is interactive and so much fun with the chefs as you are literally sitting in their kitchen. If you can get in, go! I have recently found another passion in running, and I couldn’t wait to get up each morning and be able to have stunning scenery to keep me company. These are views from all 3 of my days running. 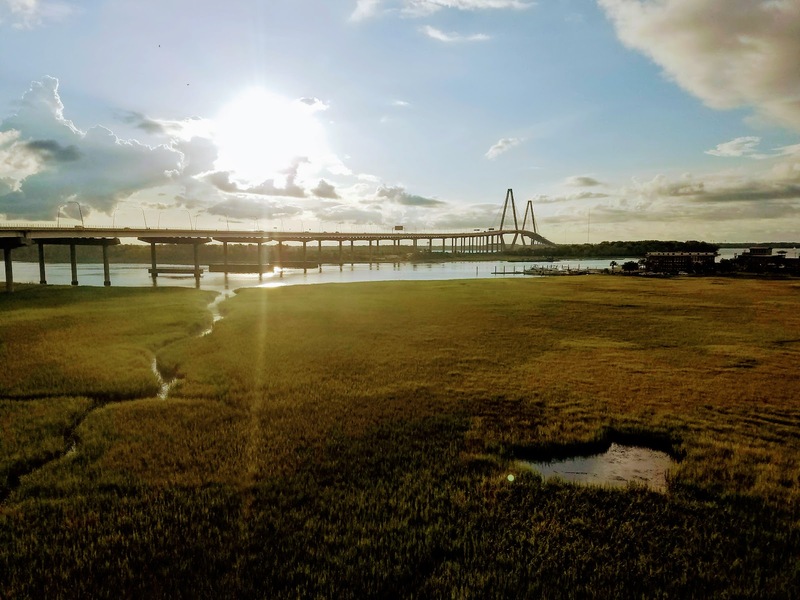 There is every type of lodging available for your trip to Charleston, from 5 star hotels to smaller boutiques hotels to charming & historic Inns and Bed & Breakfasts. 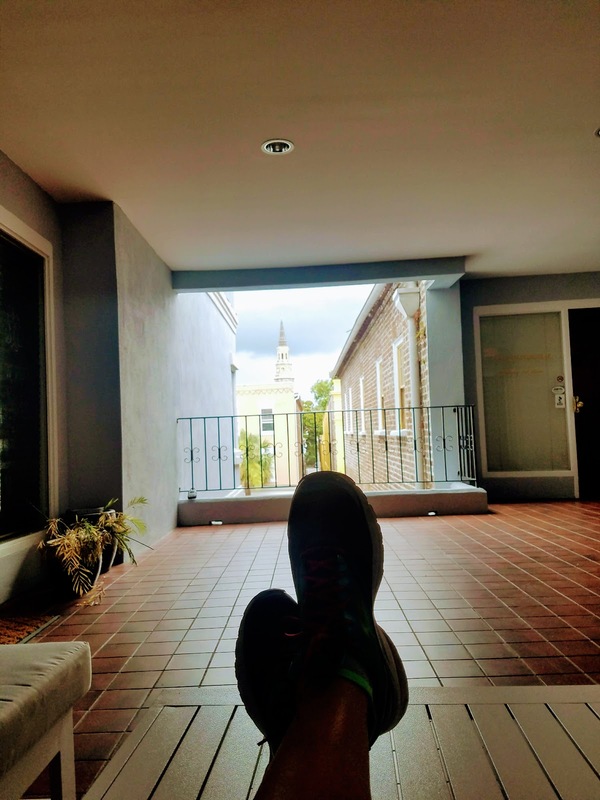 We opted for an Air B&B this time so we could have a place to hang out together during our downtime, and I found a perfect 2 bed/2bath apartment right in the heart of the city. This was how I would cool down after a run, sitting on our balcony looking at the steeple of St. Phillips Church, the oldest congregation in the Holy City. 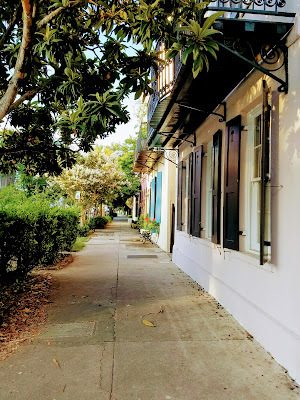 While we had a general overview of Charleston history on our carriage ride the day before, the city has a long, rich and complicated past and I wanted to do a walking tour to explore more of this magical place. 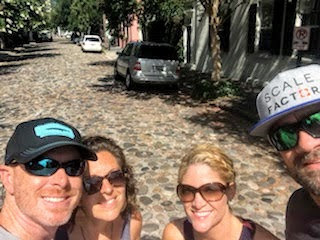 There are so many great options available, so again I did my research and found Low Country Walking tours. 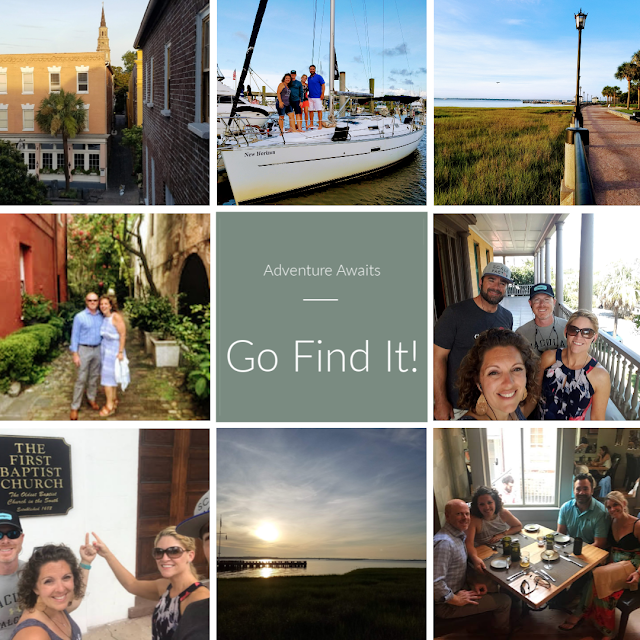 They had an options that explored the Hidden Alleyways of the southern tip of the Peninsula (Charleston has many nicknames and this is what true locals call it!). Our guide was so knowledgeable and entertaining, and the 2 hours flew by. It was absolutely one of the highlights of our trip. 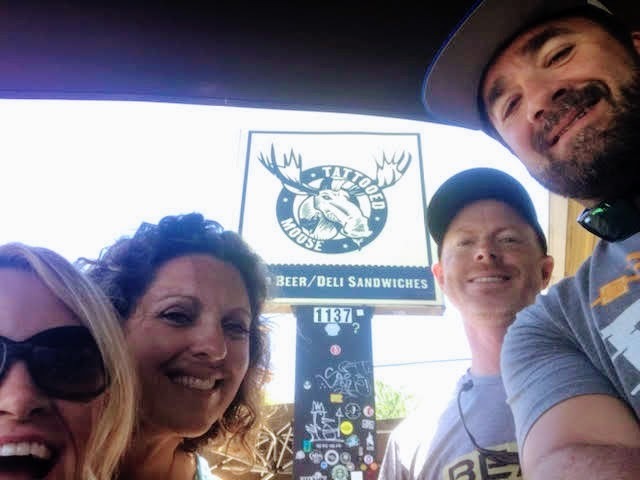 Again, so many eating options but for lunch we went to the Tatooed Moose, a dive bar a little north from downtown that is extremely popular with the locals. They serve up incredible sandwiches and are known for their duck fat fries! Charleston is HOT & HUMID in the summer, so a great way to spend time in the afternoons is shopping. King Street is known for its high end brand and small boutiques, and is fun even if you are only window shopping. And they also have a Jeni’s Ice Cream which is the tastiest way to beat the heat! 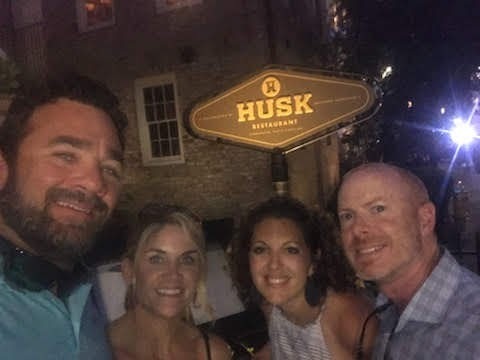 Dinner on Friday night was the hardest reservation to get, and Husk was worth all of the hype. Traditional low country meals with a modern twist, and all of the ingredients are from local farms and fisherman. Get your name on the list 3 months in advance and try to wait patiently for a meal you won’t soon forget. A perfectly lovely way to end the night is to walk the cobblestone streets South of Broad. Almost all of the houses are historic, gas lanterns abound, and it is quiet and surprisingly crowd free for as close as you are to downtown. Walk up and down King, Meeting & Church Streets, then walk along the Battery to enjoy the river breezes on the way back to wherever you are staying! Live like a local on Saturday morning and check out the Charleston Farmer’s Market. Make sure to eat breakfast and grab a coffee from one of the vendors, and then stroll through the stalls that have local produce, dairy, honey and a lot of handmade souvenirs, like the Sweet Grass baskets made by the Gullah people. 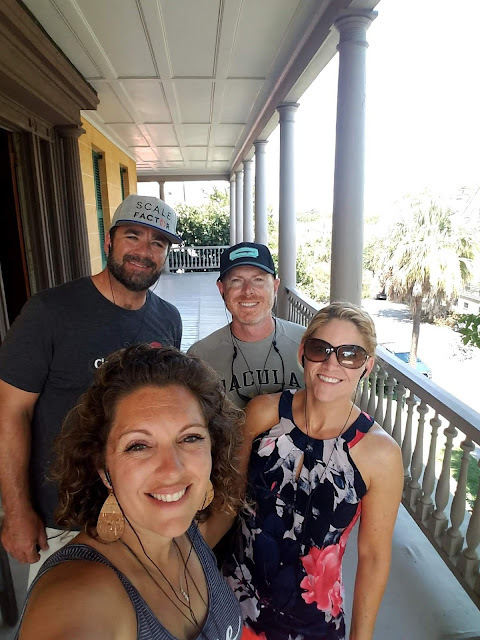 We asked our walking tour guide about doing a historical house tour and she recommended The Aiken Rhett house, which is a preservation (no modern improvements since the 19th century, just minor upkeep) vs. a restoration (continual work done to preserve the house for as long as possible). It is a wonderful example of what life was like in Charleston in the 1800s. And you are provided with an audio tour that walks you through every room and outbuilding on the tour. I wanted for something special for our last activity in Charleston (besides eating) and there really is nothing like seeing it from the water. 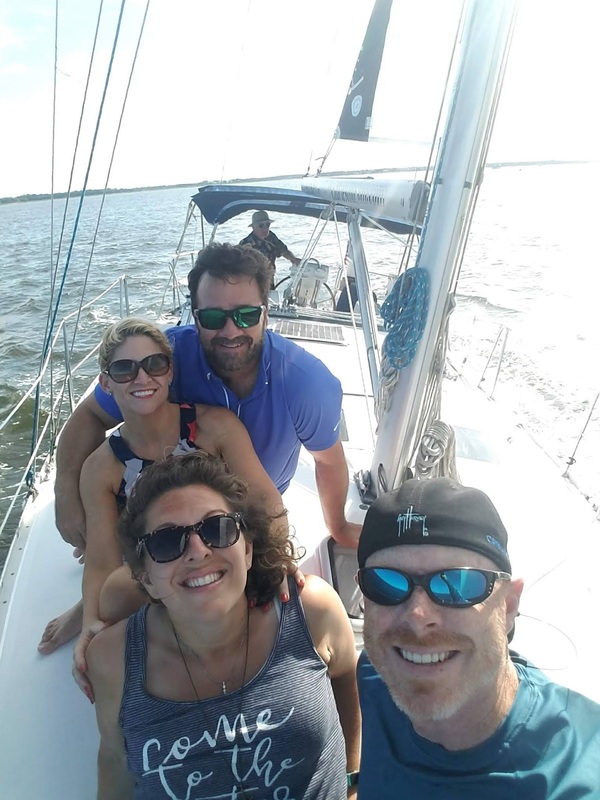 I chartered a sailboat and we spent 2 glorious hours sailing past the Battery, Ft. Sumter and the Ravanel Bridge. 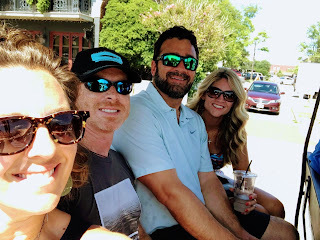 It was relaxing and entertaining (our captain was a Brit who has lived here for 20+ years and now considers himself a Charlestonian) and the favorite part of our trip! 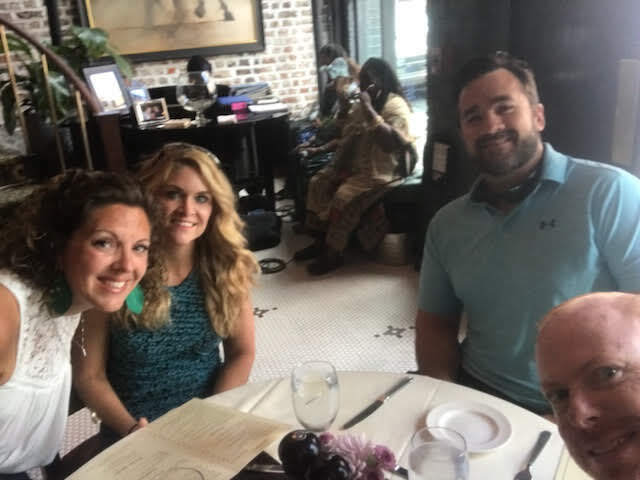 Just like I wanted a memorable last activity in Charleston, our final meal needed to be something unforgettable. 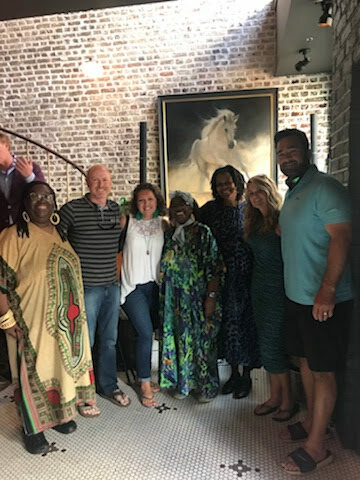 The best steak house in Charleston is Hall’s Chophouse, but instead of dinner we opted for their Gospel Sunday Brunch. Not only was it my favorite meal, but the most talented women sat around a piano and sang Gospel music while we ate. It was magical. And their bread pudding is life changing! 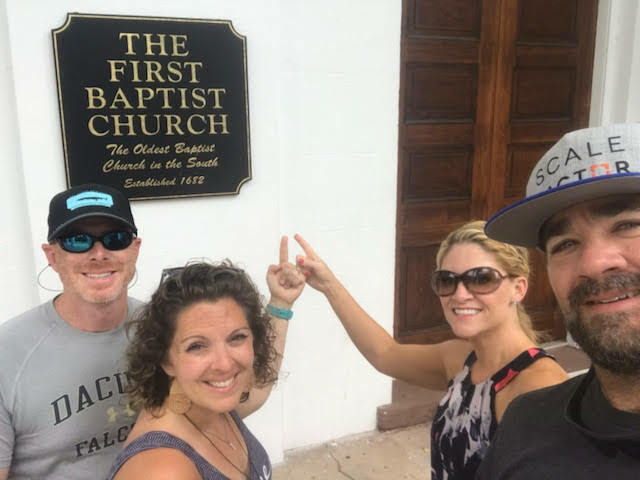 Chrissy has invited me back in the future to do a post on how great Charleston is with your kids as well! **Also, be sure to check out sweet Lisa's, from Coast to Coast2, weekend in Charleston review for more ideas! Great write up on this magical place that is so on our bucket list! We have always said we need to go to Charleston, and now you've really convinced us!! Oh fun! I may be going in April on a work trip! I don't think I will ever go there, I love in the Netherlands, but it looks great. Hope you like to join my Fancy Friday link up party! I visited Charleston for the first time last summer during a blogger conference and fell in love with the charming city! I wish I had been there longer. 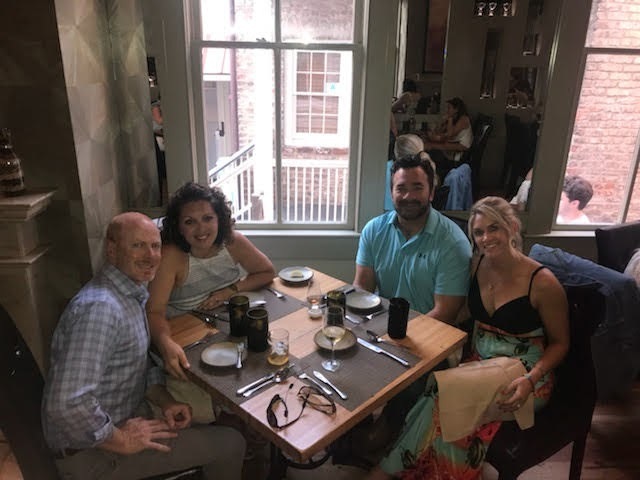 We ate at the restaurant next to Husk, Poogan's Porch. It is FANTASTIC! If I ever go back, I need to try some of these places! I highly recommend a ghost tour, too! We loved ours! This looks so amazing! I have never been to Charleston but it looks like it has so much charm! I was just about to comment that Lisa and Kent went there too last fall but I see you linked it! Lovely vacay!! Pinning this now! Charleston is on my bucket list - I'd love to go. Great post and I look forward to part 2! Charleston looks like such a beautiful, quaint town. I have a friend who's from that ares and she's told me how spectacular it is. Would love to visit some day. Love this post! 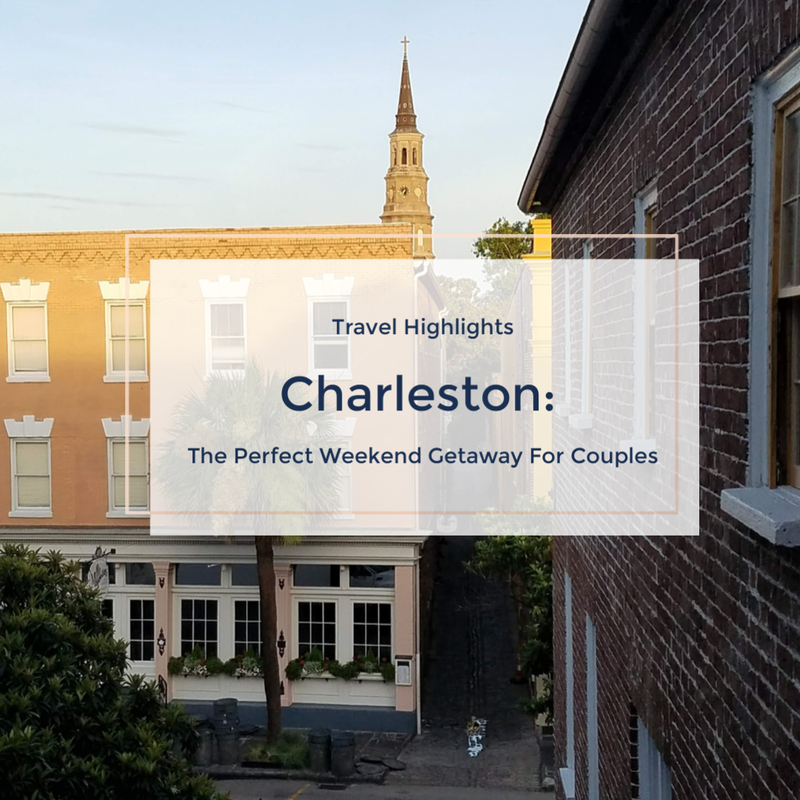 I've always wanted to spend a long weekend in Charleston! Such a charming place indeed. Love your photos dear!